Earl Jacobs started making indicator points back in 1952. Known for his quality work as a tool maker, Earl picked up customer orders on his lunch hour and manufactured replacement points at home in the evenings. By 1963, what began as a part time venture to help support a growing family had grown into a full time business. With a desire to better serve his customers, Earl resigned from the tool shop and Carbide Probes, Inc. became his major business focus. Under his leadership, the company experienced years of growth until his retirement in 1977. Earl Jacob’s philosophy of maintaining the highest standards of quality and precision remain today and provide a solid foundation for customer satisfaction. Carbide Probes Inc. continues to grow and meet the specific needs of customers under the leadership of Dan Shellabarger, Earl’s son-in-law and company president. Located near Dayton, Ohio, Carbide Probes, Inc. has enjoyed consistent growth, including expansion of their office and shop facility several times in the past two decades. 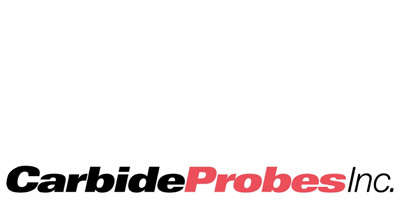 When precision meets experience, it must be Carbide Probes, Inc!